When it comes to design, new trends emerge each year — and flooring is no exception. As technology evolves and consumers’ tastes change, so do the trends. From environmentally-friendly options to unique patterns and colors, there’s something in the flooring trends for 2019 for every type of project, decor, and customer. While this isn’t a totally new trend, there are now more options than ever for flooring that looks like wood but is made from other materials. Whether it’s vinyl, ceramic, or laminate, using materials that are best suited for the space while still getting the look of a wood floor is becoming more appealing than ever. It used to be that if you wanted a floor that was able to withstand water, tile was the go-to choice — but not anymore! 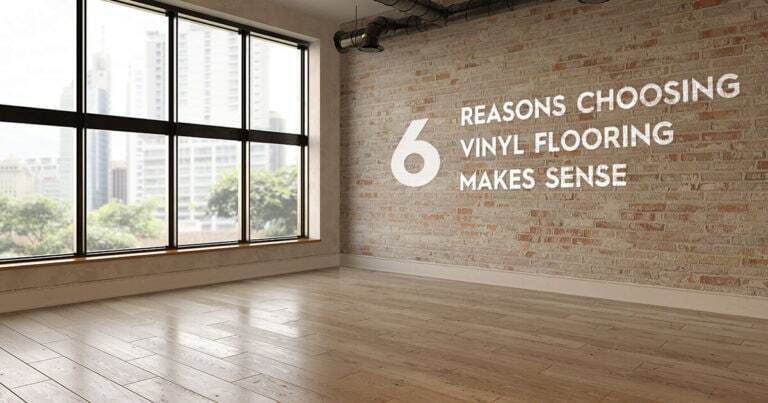 With so many advancements made in the production of vinyl flooring over the last two decades, vinyl is now often considered the better option for waterproof flooring. Waterproof flooring is also no longer reserved for bathrooms, kitchens, and entryways. 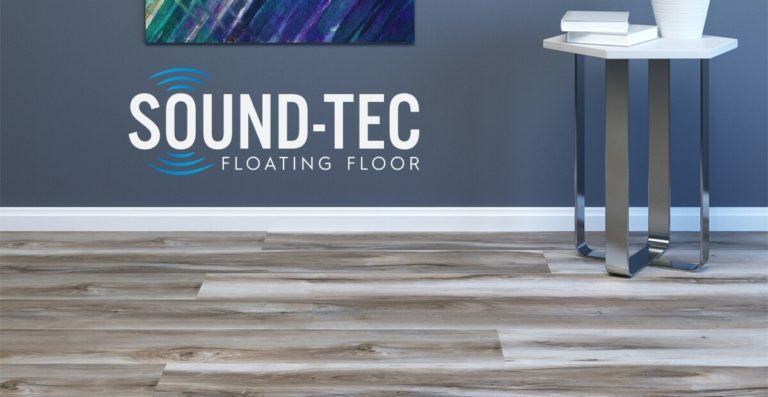 With so many choices available, including patterns that replicate a wood look, waterproof flooring is now being used throughout spaces from door to door. Because vinyl is 100% waterproof, it’s an excellent option for any areas at risk of moisture damage. Long gone are the days when your only option for a vinyl floor is sheet flooring that looks like tile. Now, vinyl floors come in sheet, tile, and planks and have a variety of finishes that replicate the look of wood or stone. Luxury vinyl is easy to install and to keep clean while offering the style of other flooring options and having incredible durability. Plus, this type of vinyl is waterproof and heat resistant. Having wood flooring laid either horizontally or vertically has always been the go-to for most people, but the idea of creating a visual impact with wood flooring has become a hot new trend. Using patterns like herringbone or chevron is a great way to create interest in a space and ensure your room has a unique look. For years, the trend with flooring was to favor darker tones like chestnut and espresso, but more people are now going to a lighter look. In the last few years, gray floors have been incredibly popular, and while that trend likely won’t go away, whitewashed, bleached, or blonde floors are coming back in a big way. These light tones lend themselves nicely to an airy, beachy feel. If you have existing wood floors, in some cases, having the floors sanded and then re-stained or bleached may be an option to explore instead of ripping everything out and starting over. Everyone remembers the black and white checkerboard floors that were favored in the 50s and 60s, and with so many people looking for vintage-inspired decor, this trend has come back around. One of the biggest differences from when this trend has been hot in the past is the use of pattern. Now, black and white squares aren’t the only option with ceramic tiles and vinyl flooring coming in a wide variety of sizes and patterns. Whether you want to go for simple and understated or big and bold, this trend can bring a new twist to an old classic. #7. Textured or Distressed Flooring. One thing that people are looking for in their flooring is character. They don’t always want something that looks perfect and even, but instead, something that looks like it’s been there for years and years. Distressed or textured flooring undergoes a simulated “aging” process so that is has a warm and rustic look. There are several techniques employed to create a textured look on a wood floor, including hand scraping, swirling, and burning. If wood isn’t your look, you can also consider a distressed concrete floor where the normally smooth finish is skipped in favor of a more worn look. Distressed concrete is a great option — in particular for people looking for a more industrial and modern look. With each passing year, more and more people are looking for options that are renewable, sustainable, recyclable, or made from homegrown materials. 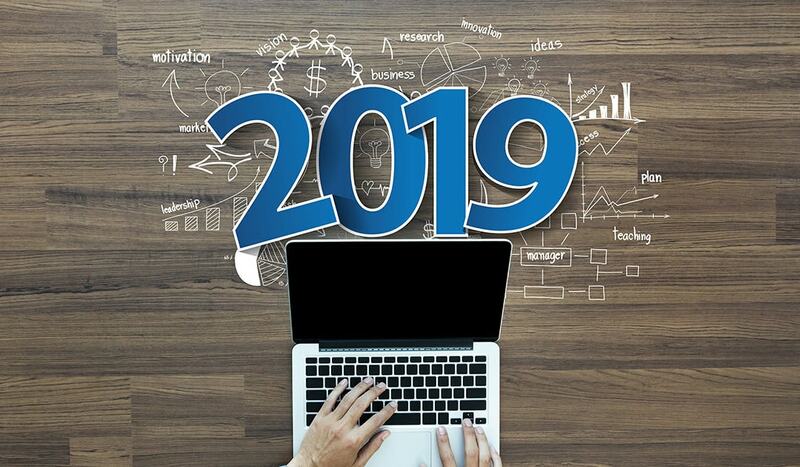 Carpeting made from recyclable materials or flooring fashioned from reclaimed wood are both hot trends going into 2019. Options, like vinyl, cork, bamboo, glass tiles, concrete, and wool carpeting, are all considered eco-friendly flooring solutions. Both large tiles and wide planks are great options for using traditional flooring in interesting ways. Large format flooring can create a big impact in a small space or make a large space more visually exciting. With large format flooring slowing gaining momentum in sales over the last few years, manufacturers are now offering more choices and styles in large format to meet the demands. 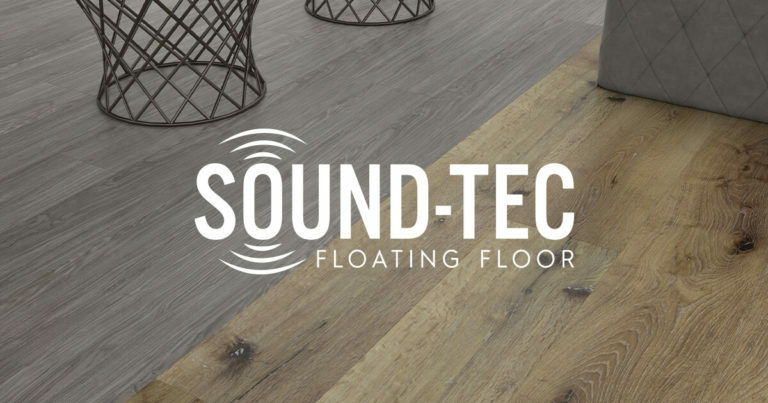 Urban Surfaces with be offering a new product in 2019, SoundTec Plus featuring a 9×60 plank, perfect for people looking for large format flooring. Who says your pop of color needs to only be on the walls? In 2019, more people than ever are choosing bold, fun color palettes for their flooring as a way to make their space stand out. Using bright patterned tiles or non-traditional carpet colors are a way to anchor a room with a specific color and then build your decor around it. No matter which flooring trend catches your eye in 2019, choosing quality material will make all the difference in the durability and longevity of your flooring. 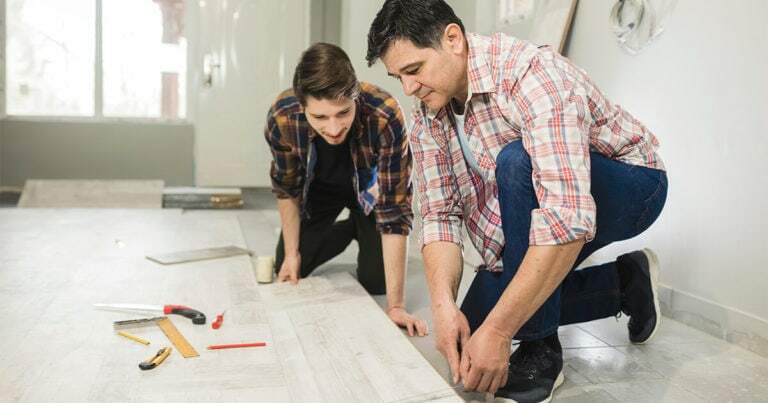 By doing your research, talking to an expert, and ensuring your install is executed properly, you’ll end up with a floor that not only suits your taste and lifestyle but will also stand the test of time. 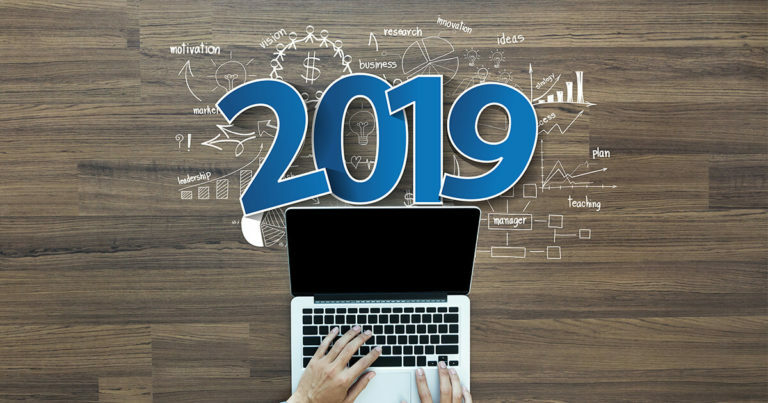 Are you about to tackle a flooring project and wonder which 2019 trend might be right for you? Click here to request more information or to get a flooring sample.